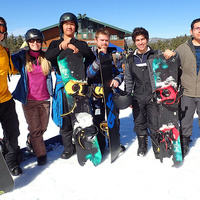 Come shred some powder on Big Bear mountain, and then spend the night in our lake house. Transportation, meals, snowboarding gear, accommodations, trip leaders and a T-shirt are included. Note: trip does not include lift ticket(s) but they can be purchased at a discount at the OE Shop. Lessons are available at the resort for an additional fee.